A year-long celebration honoring the 55th anniversary of Freedom Summer. 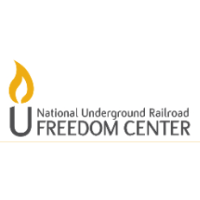 CINCINNATI, OH (January 15, 2019) The National Underground Railroad Freedom Center announced today a year-long program series titled “Freedom 55”. The announcement is made on the birth date of Rev. Martin Luther King Jr. , the prominent civil rights activist who endorsed the Mississippi Freedom Democratic Party, the political party launched as part of the Freedom Summer movement. Freedom 55 commemorates the 55th anniversary of Freedom Summer, a 1964 voter registration drive also known as the Mississippi Summer Project. The goal was to end the prevailing discriminatory and segregated voting system through increased voter registration of African Americans. In preparation, hundreds of student volunteers gathered for two, one-week orientation sessions from June 14 to June 27, 1964 at Western College for Women (present day Miami University) in Oxford, OH. Freedom 55 will officially kick off in February 2019, continuing through December 2019. It will feature programs such as the Freedom Lecture Series (previously the John & Francie Pepper Lecture Series), panel discussions, book signings, film screenings, musical performances and more. Further details to be announced in the coming weeks. The National Underground Railroad Freedom Center opened in August 2004 on the banks of the Ohio River in downtown Cincinnati, Ohio. Since then, more than 1.3 million people have visited its permanent and changing exhibits and public programs, inspiring everyone to take courageous steps for freedom. Two million people have utilized educational resources online at freedomcenter.org, working to connect the lessons of the Underground Railroad to inform and inspire today’s global and local fight for freedom. Partnerships include Historians Against Slavery, Polaris Project, Free the Slaves, US Department of State and International Justice Mission. In 2014, the National Underground Railroad Freedom Center launched a new online resource in the fight against modern slavery, endslaverynow.org.